Wearing a FunDza T-shirt has never been as much fun as at this year’s Jozi Book Fair. I was approached by many like-minded people who recognised the bright yellow smiley FunDza face on my shirt and came to chat about literacy matters. One such person was Banele Lukhele – a freelance educator, writer and composer. She is an author of two books, a novella and an autobiographical fiction, and she is founder of LukArts – one of the beneficiary groups in FunDza’s ‘Family’. Banele says that LukArt’s main objective is to provide learning for anybody in any space through any form on any topic. She says she knows that this is a big, broad thing to do. On the one side they teach Maths, Science, and English using music and drama. Then they also run corporate workshops using the arts. Banele has always loved reading. But, as a writer and through her experience of teaching, she has realised that not everyone feels the same way about reading. “I self-published a book but realised that the reading culture in South Africa is not developed enough for me to sell the numbers that I would sell internationally. I figured, the only way to get my book out is to get people reading. And, who are the best people to get reading? The children,” Banele notes. So, Banele started a library and reading programme to start developing a culture of reading amongst the youth. “They love it! They read so fast now that I have to go there sometimes twice a week and for a few of them I go three times a week to give them new books. And when they bring the book back they have to submit a book review or a book report of it. So that I know that they actually read the book,” Banele says. The students started telling her that there were other people who wanted to read the books, such as their cousins. However, their cousins were in Soweto and she was teaching in Kya Sands, near Northgate. She decided to think of ways to make this work practically… Banele had been limiting the number of books students could take out to four, but if they were to share their books with their cousins, then it would reduce the number of books the students had to read. So, how could she get the books to the cousins? That’s when Banele took a giant leap in faith. “OK, let me just put the boxes in my boot and then drive around and phone people… When they answer, I say: ‘I heard you want to read this book. Where are you now? OK, I’m coming.’ And, then we go there… That’s how it started,” Banele explains. 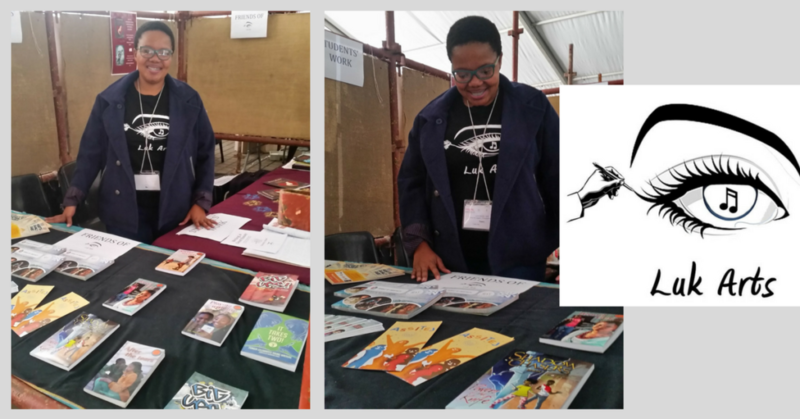 Banele proudly tells me that the first day of the Jozi Book Fair, 32 students came to her table because of the FunDza books and wanted to know whether they could buy them! Banele says they only take donations from people on recommendation. She believes in building relationships with people based on the fact that she could trust them to have a good eye for literature. Banele also takes her lead from the young people she spends time with. She noticed when she first started the reading programme that her students weren’t using the library they had easy access to. On questioning them it was revealed that they felt quite intimidated because they haven’t encountered reading before and didn’t know how the library worked. So when they walked into a library, they didn’t know what to choose or where to go. They didn’t know how library references worked, so even if they looked it up on the computers, they wouldn’t know how and where to find the books. Thank you, Banele, for your amazing work to bring reading to so many young people.